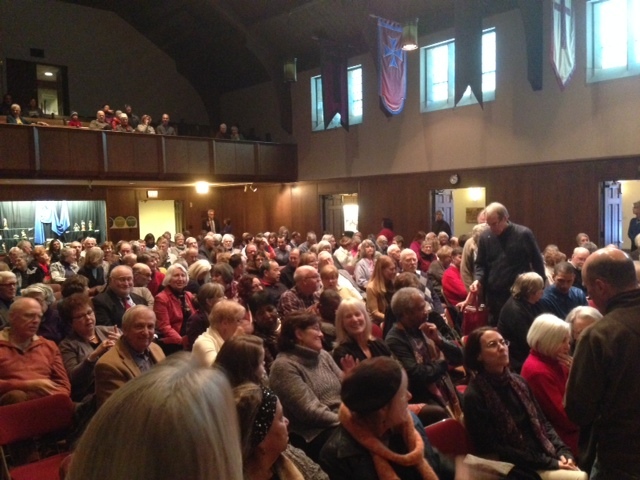 Westminster Presbyterian Church in Minneapolis, Minnesota has connections with Cuba that go back to the late 19th century. For most of this period (1890—2000), the connection has been indirect through our denomination (now the Presbyterian Church (U.S.A.)). The direct connections have been since 2001. In 1904 the U.S. church organized the Presbytery of Havana with five pastors and seven congregations under the jurisdiction of the Synod of New Jersey. In 1930 it became the Presbytery of Cuba, but still as part of the Synod of New Jersey. In 1966 (five years after the Cuban Revolution), the overall governing body (the General Assembly) of the U.S. church approved an overture or motion by the Cuban Presbytery to be dismissed from the U.S. church in order to become an independent church. This overture came from the Cuban church’s recognition that it had to face on its own Cuba’s “new political, social and economic situation.” Cuba was now “socialist, shaken by a Revolution which left nothing untouched by its transformation,” and the Cuban church “had the responsibility of interpreting the Christian faith in its own environment.” One of Westminster’s former members, John Sinclair, then the U.S. church’s secretary for Latin America and the Caribbean, played a key role in this change. At the inception of the independent Cuban Presbyterian-Reformed church, it had 3,082 members in 30 churches. In 1985 the Presbytery of Long Island and the Presbytery of South Louisiana established contact and began visits to Cuban congregations in the Presbytery of Havana and the Presbytery of Matanzas respectively. Also in 1985 the Cuban church invited agencies of the PC(USA) to a consultation in Havana. They drafted a Mutual Mission Agreement that included procedures for forming ties between governing bodies of the two churches. The agreement was adopted by both General Assemblies in 1986. In 1990 the Cuban church celebrated the Centennial of Presbyterianism in Cuba. Attending was a Presbyterian delegation from the U.S. Protestant Church leaders meet with Fidel Castro to discuss church-state relations. Castro asserts that religious groups were providing important support for the Cuban people in a time of great stress and should be respected. In 1995 the first Partnership Consultation was held in Havana, bringing together leaders of the Cuban church with staff of the U.S. denomination and representatives of the then four partner presbyteries: Long Island, Santa Fe, South Louisiana and Transylvania. In 1996 the U.S. Presbyterian Cuba Connection was founded as an unofficial network of Presbyterians for interpretation, advocacy, and financial support of the life and mission of the Cuban church. That same year the leader of the U.S. church visited the Cuban church, participating in the October Conventions of the latter’s presbyteries. In 1999 the Cuban Evangelical Celebration united the great majority of Cuba’s 49 Protestant Churches in a series of 19 municipal and four national public rallies, culminating on June 20 in the Jose Marti Revolution Plaza in Havana in a three-hour program of hymns, prayers, music, dance and a sermon attended by 100,000 persons, including President Fidel Castro and a number of government leaders. In 2000 the Celebration of Mission Partnership in the New Millennium was held in Cuba bringing together representatives of the U.S. church with an equal number of representatives of the Cuban church. A joint declaration of intention and commitment was adopted. During this period indirect connections similar to the ones previously mentioned continue, but now Westminster developed and strengthened its own direct connections. In 2002 we also formed a similar partnership with the governing body for the whole Presbyterian-Reformed Church in Cuba. In 2007, as part of its Sesquicentennial Capital Campaign, Westminster committed to make a substantial monetary grant over five years to the Cuban Synod to assist its education and development of ordained and lay leaders. These gifts have been made through the U.S. Treasury Department’s license to our denomination that permits certain transfers of money to Cuba. Although Westminster does not have a formal partnership with SET (the ecumenical seminary) in Matanzas, we do have a close informal relationship. Today SET is an ecumenical institution for basic and advanced theological training of pastors and lay leaders of Cuban and other Latin American churches. It also is the home of the history of Cuban Protestantism and of the Ecumenical Movement in Cuba. In addition, SET is engaged in exchange programs with institutions in the U.S., Europe and the rest of Latin America. Situated on a hill overlooking Matanzas’ bay, it is one of the most beautiful places on the island with soft breezes usually flowing from the bay. Another way that Westminster carries out its Cuban ministry is keeping all members informed of our various activities on the island. All who go on mission trips, for example, commit to sharing their experiences with other church members. In addition, our church library now has many books about Cuba. All of these direct connections with Cuba have prompted Westminster to become an active member of the Presbyterian Cuba Partners Network, a group of U.S. churches with Cuba partners. So too is Westminster an active member of the Presbyterian Cuba Connection that provides funds to the Cuban church under a general license from the U.S. Department of the Treasury. As a result of this involvement, some members, including this blogger, have learned a lot about Cuba and its relations with the U.S. and have become advocates for improving those relations. 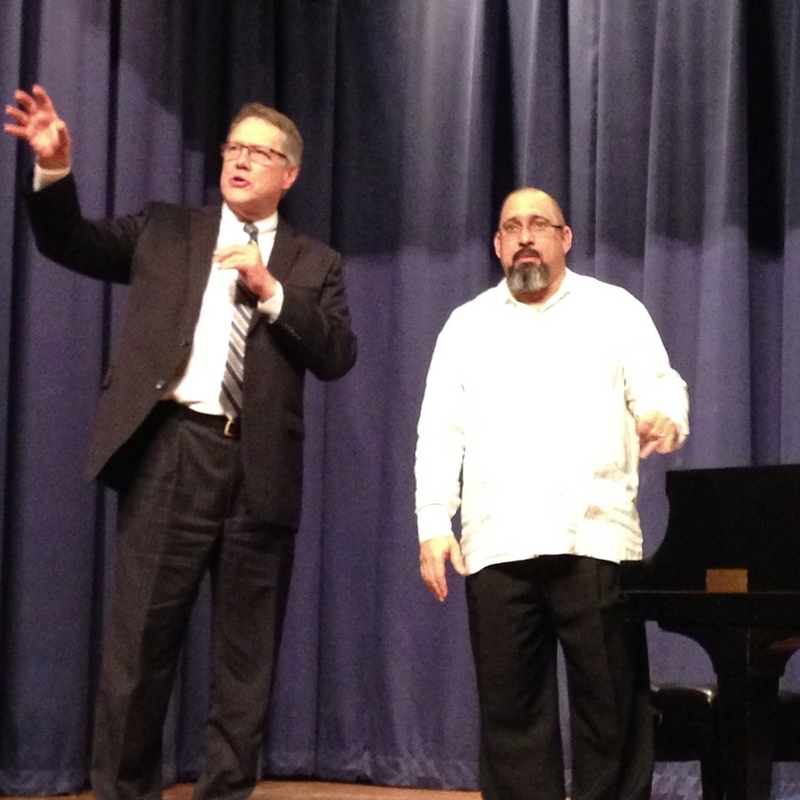 As mentioned in a prior post, another example of our Cuba connections occurred this January 11th with a free concert at the church by Cuban-American jazz pianist Nachito Herrera. 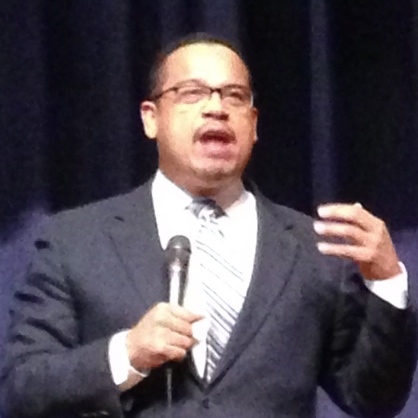 Before the start of the concert itself, Minnesota Congressman Keith Ellison from the Twin Cities made brief remarks. He said that President Obama’s December 17th announcement of the historic changes in the relationship of the two countries demonstrated the importance of persistence and hope for all who have been urging such changes for many years, as had most of the people in the audience. He congratulated us for having this persistence and hope. This lesson also was demonstrated, he said, by the current movie, “Selma,” which the Congressman recently had seen with his children. His parting injunction to us all: now we all need to keep the pressure on Congress to end the embargo and support the reconciliation. Nachito was introduced by Rev. Dr. Timothy Hart-Andersen, our Senior Pastor, who said our church has had a partnership with Nachito. We take things to his family in Cuba on some of our mission trips, and Nachito plays music at our church. Implicitly Tim was saying the church had the better part of that understanding. To a capacity-crowd in our Great Hall, Nachito played Cuban music with great passion. He also told us that he was surprised and overjoyed by the December 17th news of the historic change in the two countries’ relationship and wanted to celebrate this important change by sharing his music with Westminster, which he regarded as part of his family. 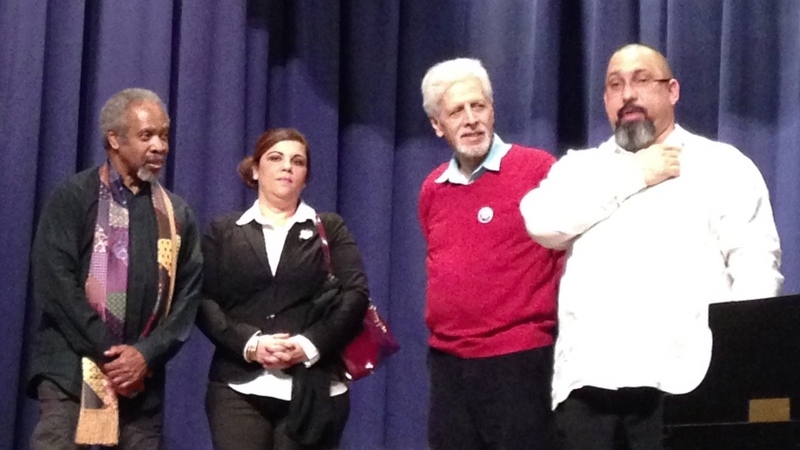 He also was very happy with the U.S. release from prison of the remaining three members of the Cuban Five, and in recognition of this event he returned his “Free the Cuban Five” button to two members of the Minnesota Cuba Committee. This historical sketch of Presbyterianism in Cuba is based on a summary of that history by Dean Lewis, a Presbyterian minister with long involvement with Cuba.